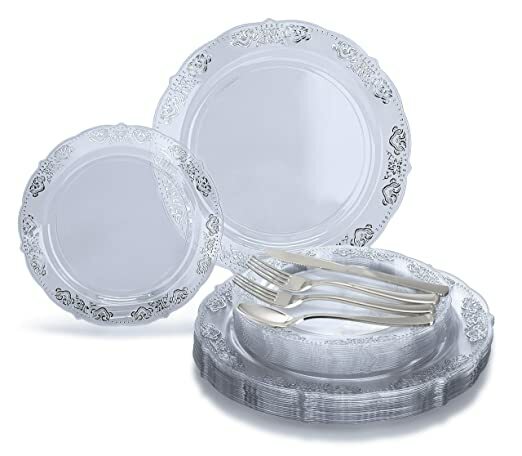 Amazon – New” OCCASIONS” 150 piece / 25 guest Wedding Party Disposable Dinnerware Set – Plastic Plates and Silverware for 25 guests (Portofino Clear/Silver) just $22.99! PLUS MORE! PESACH! 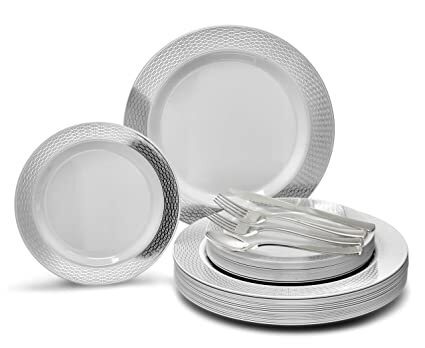 Still need disposables for Pesach? 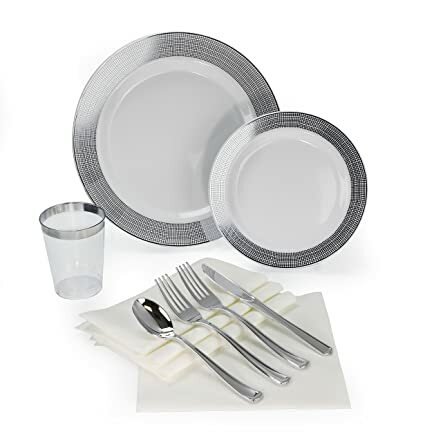 Amazon is offering New” OCCASIONS” 150 piece / 25 guest Wedding Party Disposable Dinnerware Set – Plastic Plates and Silverware for 25 guests (Portofino Clear/Silver) for just $22.99 + FREE Prime shipping or free shipping with $35 purchase. Also available in the (Diamond White/Silver) Design for just $23.99! Want complete table settings? 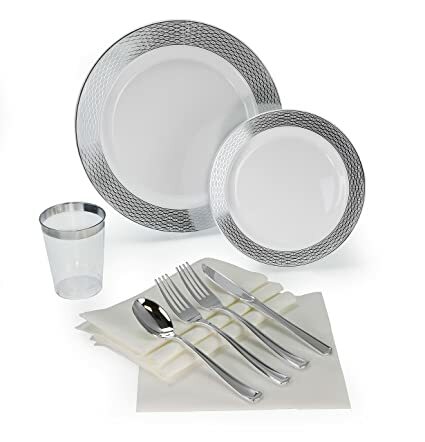 You can grab the ” OCCASIONS” 200 piece/ 25 guest Wedding Party, Heavyweight Disposable Dinnerware Set – Wedding Plastic Plates, linen like paper napkins, silver rim cups & Silverware (Diamond White/Silver) or (Linen White and Silver) for just $42.90 – 44.90! Enlarge the Amazon photos so you can see the designs better.